Are you looking for the new launch condo Sims Urban Oasis review? In this review, I will show you the analysis and facts. For latest movement, feel free to contact New Launch Guru! 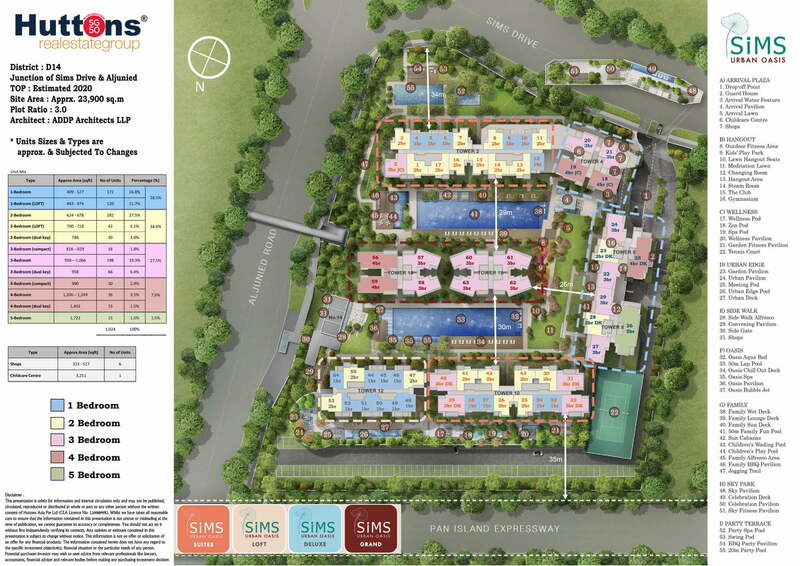 Sims Urban Oasis is a new launch by Guoco Land that is located at the junction of Sims Drive and Aljunied Road. It consists of 1024 residential units spread over 8 towers, and 6 shops, as well as a child care centre. This massive project sits on a site area of 257,164 square feet. Sims Urban Oasis represents the best in city-edge living. Its excellent connectivity means everything is close to you, including the Marina Bay, CBD, Aljunied MRT Station and more. This makes going to work, school or anywhere a breeze. Aljunied MRT is just 400 meters away. 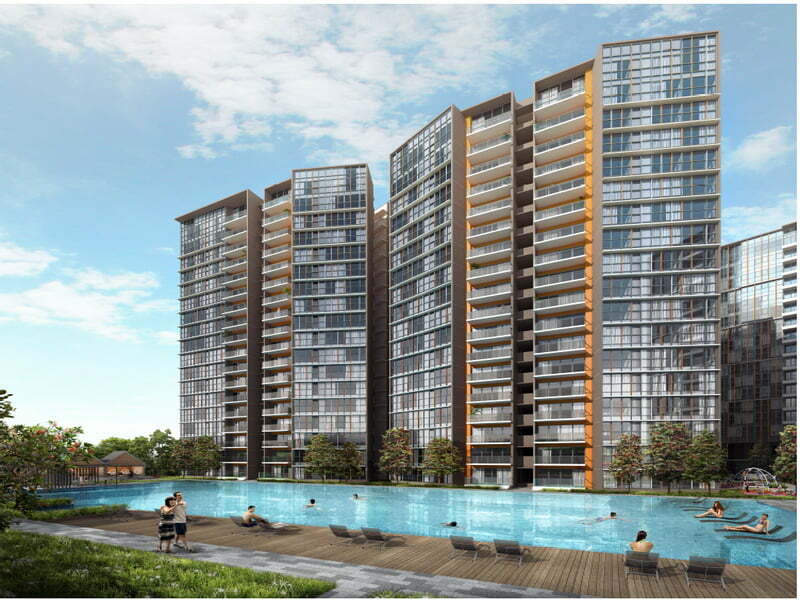 Sims Drive sits on the cusp of several neighbourhoods, including Aljunied, Paya Lebar and Kallang. These are all areas with a distinctive old school charm, with clusters of traditional shophouses lining the streets of Geylang and the distinctive Geylang Serai Market in Paya Lebar. The area has built a reputation among local foodies for serving some of the nation’s best food, from countless local stalls selling authentic street food to local restaurants famous for their delicacies. Sims is set to be the next hip enclave, thanks to a slew of restaurants, cafés and bars popping up around Geylang’s fringe areas, like Cassia Crescent and Guillemard Road. One of the key reasons of relocation for families has been for their children’s quality education. Being next to 2 International schools – Nextus International & James Cook University is bound to open up a huge potential for future buyers or tenants. Together with highly ranked Geylang Methodist Primary school just a stone’s throw away, such convenience makes Sims Urban Oasis an excellent choice for families with schooling children. The impressive Singapore Sports Hub is unmissable, sitting gallantly near Sims Urban Oasis. A venue for sports, community events and world-class concerts. Outdoor enthusiasts can head down to the Pelton Canal Park Connector and Kallang Riverside Park where you can jog, cycle on tracks or play different kinds of watersports. 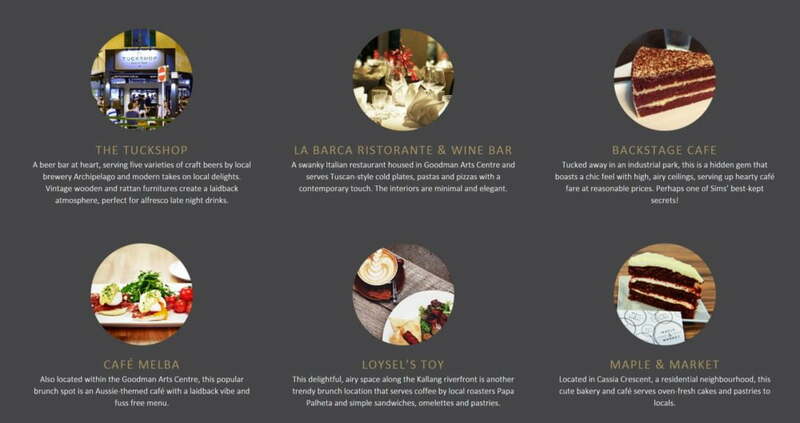 Shopaholics will be spoilt for choices, 8 Shopping malls can be found within 1 station at both Kallang and Paya Lebar, including Singpost Centre, Paya Lebar Square, Paya Lebar Quarter (upcoming), Tanjong Katong Complex, City Plaza, One KM, Kallang Leisure Park & Kallang Wave Mall. Let's explore more facts in this Sims Urban Oasis review. Sims Urban Oasis is located in the idyllic residential area of Sims Drive a hidden gem conveniently situated at the edge of the city. Located just a five-minute walk from Aljunied MRT station (which is one station away from Paya Lebar MRT Interchange), travelling by public transport is a breeze as Paya Lebar is serviced by both the East-West line and the Circle line. 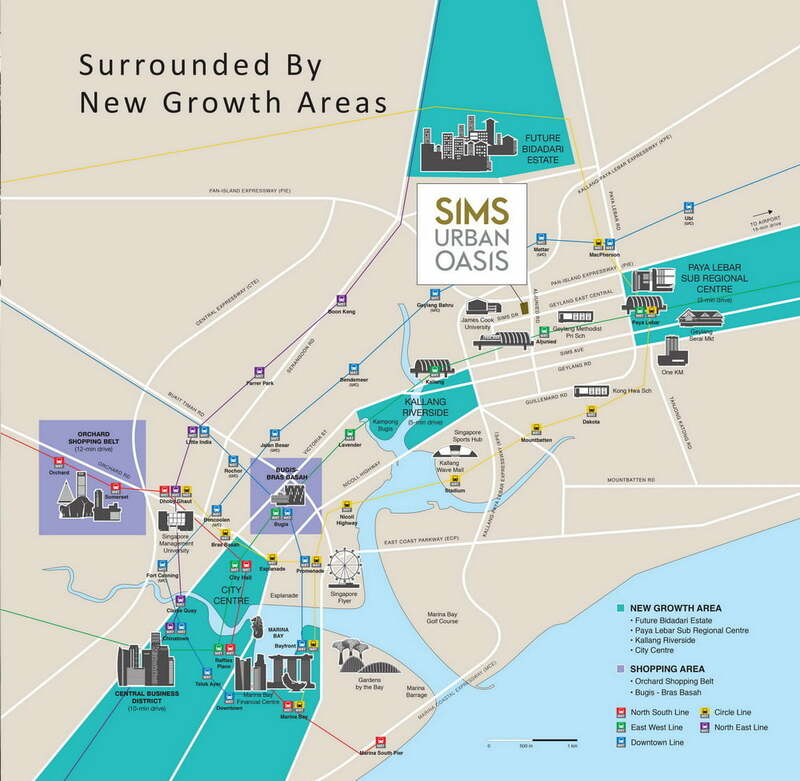 For those who drive, Sims Urban Oasis is a short 12-minute drive from the Marina Bay area, with links to major expressways like the PIE, KPE and ECP, and major roads such as Sims Ave, Paya Lebar Road and Changi Road. As the first prime private residential development in the area, Sims Urban Oasis is poised to rejuvenate a charming and accessible locale of Singapore. To encourage active community living, Sims Urban Oasis is equipped with two Olympic-length swimming pools, an extensive gym, Tennis Court, a large lawn, barbeque pavilions and recreation spaces for neighbours to interact. Most importantly, lush green public space extends vertically to a Sky Garden on Level 19 of Tower 4. The Sky Park will also offer panoramic view of the Marina Bay. Committed to create an inclusive community, Sims Urban Oasis will house a convenience store, cafes and a child-care centre. Click here to Register for show flat appt. 1. Being the only Condo in Sims Drive area, you will face literally no direct competition from nearby projects to fight for tenants. And once the nearby plot of land launched for bid, Sims Urban Oasis will enjoy 1st mover advantage in terms of pricing. 2. Buyers who are sensitive to noise, may consider the non-PIE facing units. 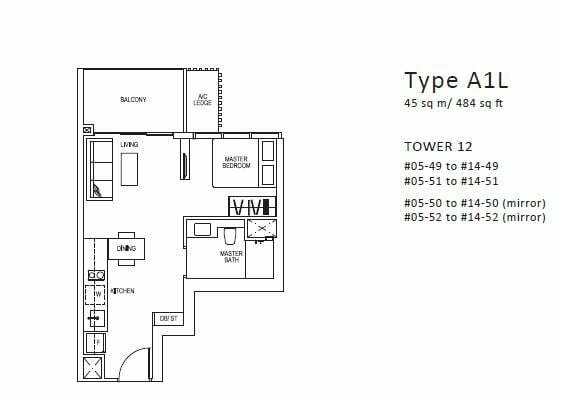 For 2 bedroom and bigger units, there are still units with quieter facing to choose from at the moment. 3. The project's 80% car park lots provision should not cause a big concern, as half of the units are for investment purposes. Majority of the tenants do not drive. Even for own stay buyers, taking public transport may be a better option than driving due to it's superior public transport connectivity. 4. 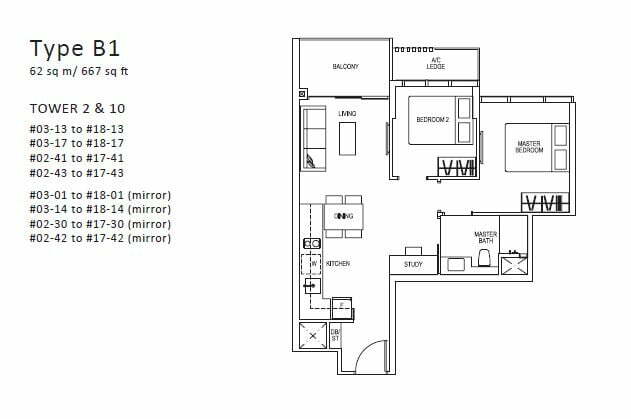 The layout for the development is rather efficient, as all the bedrooms, including common bedrooms, can fit in queen size bed. 3-bedroom with a size over 1,000sqf at city fringe location is considered decent in today's market. Buyers who have limited budget can choose more compact 3-bedroom layout, i.e. 818sqf or 958sqf. 5. People who associate D14 with Red light district and have hesitation, can go to the actual site to take a look. The location is a good distance from the run-down and seedy part of Geylang, yet it's not that far either to enjoy the best that Geylang is to provide, near to town and great variety of good food to savor. What's Nearby Sims Urban Oasis? Check it out in Google Maps! Click here to Register for e-Brochure or Request for 5-page detailed market comparison report. New Launch Guru will continuously update this review. Keep in touch for the latest movement! 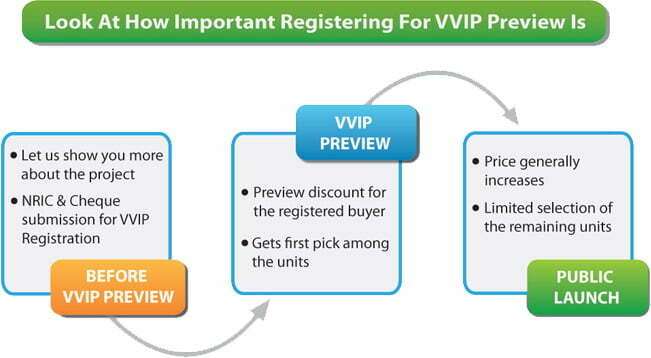 Obtain Attractive VVIP Preview Discount Directly from Developer. Get the Market Analysis Report. Receive the Latest Pricing, First-Hand Update of Preview Discount Scheme. Be Early Bird Buyer to Select Your Preferred Unit(s). 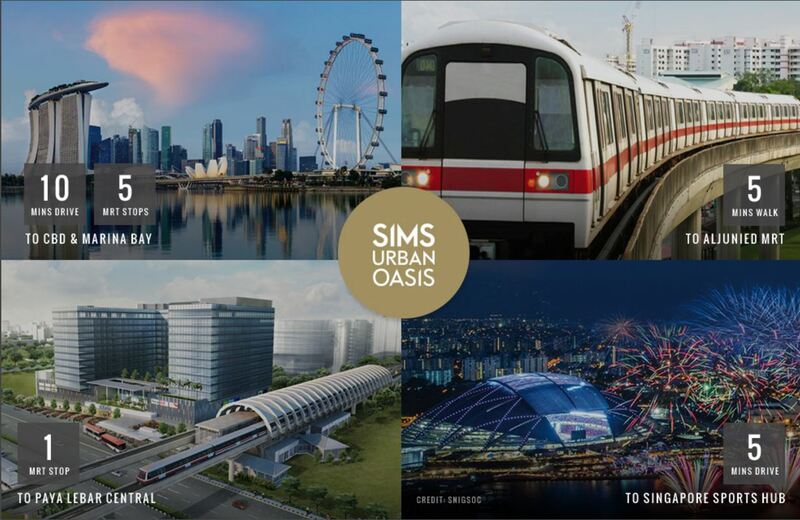 I am interested in Sims Urban Oasis! Please contact me. Park Colonial & Stirling Residences Review, Which to go?